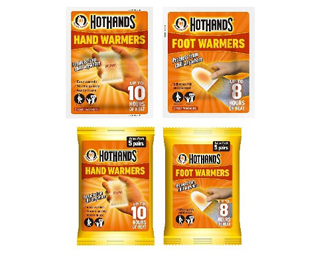 Hothands Hand and Foot Warmers are rectangular shaped single-use air-activated heat packs that provide up to ten hours of continuous warmth. Perfect for outdoor sports, walking, jogging and other activities. Ready to use and safe, natural heat. Available in singles or multipacks.